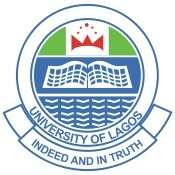 LATEST information we’ve 59,000 candidates who applied for admission into the University of Lagos through the Joint Admission and Matriculation Board (JAMB) has been rejected by the school management. This was irrespective of the fact that majority of the students scored above the Joint Admission and Matriculation Board’s cut-off mark, which is 180 for all Nigerian Universities. According to information which was released by the JAMB spokesman, Mr Fabian Benjamin who tried to promote this idea to the Nigeria public, disclosed that the Board has entered into an agreement with the school to post the rejected students to other schools in Lagos closest tertiary institution. However, this did not go down well with most candidates and their parents, as protesting candidate claimed they are not aware of the JAMB posting to ‘other’ tertiary institution’s new policy. “We also sympathise with these candidates, but we wish to state categorically that the JAMB national cut off mark is just the minimum expectation that each candidate who really wants to be admitted into the university should have. Is jamb right to send some students to other schools to write the post utme examination? We would love to hear from you using the comment box below.